To reduce the suffering of those in individuals and their family’s afflicted by addiction through offering strength through compassion. Commitment to integrity and character. Polished public speaker and author. On television, on radio, and in print, including WGN TV, WGN radio, and the Chicago-based reality TV show, “Put Your Money Where Your Mouth Is.” Published author including the book Forty Days to Fit and the fitness guide Twenty Misconceptions About Weight Loss and Fitness. 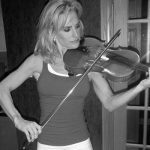 Hadley Allen is a concert trained violist graduate of the Juilliard School. In the emerging field of natural healing, there are a variety of holistic practitioners offering therapeutic services designed to help individuals find happiness in their personal and professional lives. There are personal and life coaches, wellness and lifestyle counselors, natural healers, spiritual guides, dance movement therapists, mentors, confidants, and many others. Hadley Allen has more than 20 years of experience helping clients live healthy and happy lives by building the capacity of mind, body, and spirit. Hadley offers fitness training, nutritional counseling, massage therapy, meditation and mindfulness, and emotional and psychological support to help her clients find genuine happiness. The focus is on helping clients build positive and sustainable structures in their lives, where they create the space to improve physical and emotional well-being each day. The program builds focus, direction, self-sufficiency, confidence, discipline, empathy, compassion, forgiveness, and a sense of connection and belonging to the world outside. Hadley works with clients to create action plans for reaching short term goals in six weeks as well as long-range plans to achieve successful outcomes throughout the year. Each program is tailored to meet specific physical and emotional challenges. Hadley has worked with youth and adolescents to empower and mindfully engage with their lives. She has developed expertise in Music Therapy, Dance Therapy, Cognitive Behavior Therapy, Dialectical Behavior Therapy, Family Systems Therapy, Guided Meditation, Massage Therapy, and Neuroscience. Hadley is also an award-winning international fitness competitor and writer.